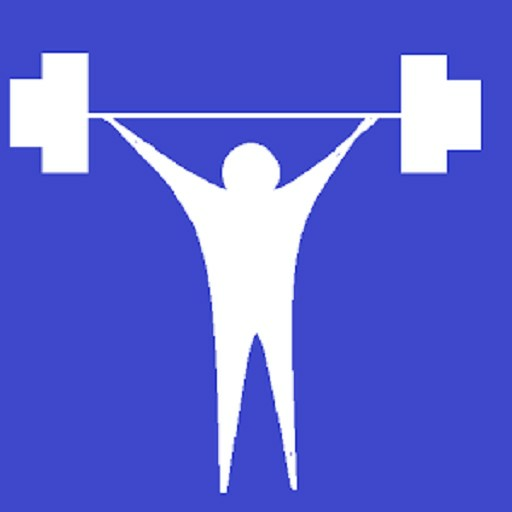 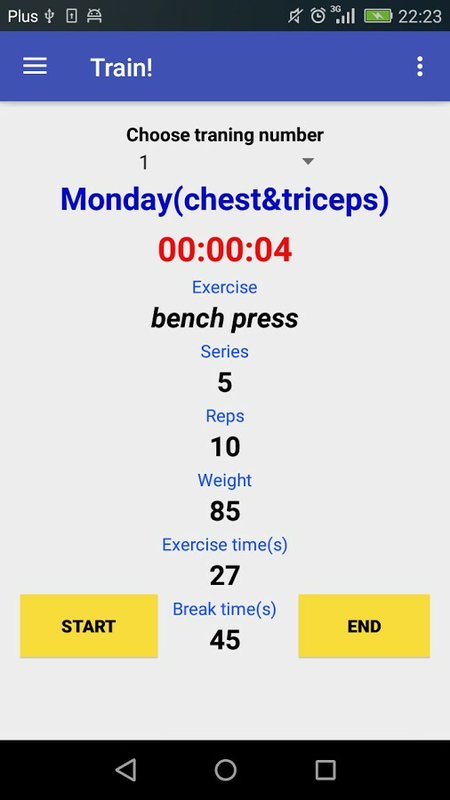 Gym Helper is perfect workout tracking app. 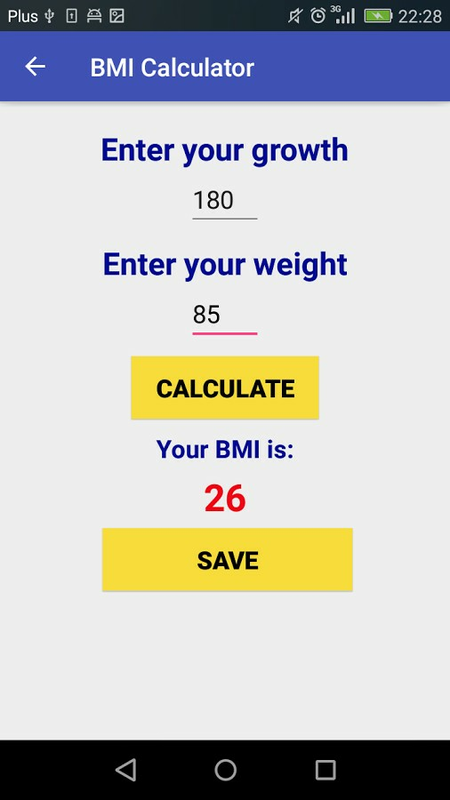 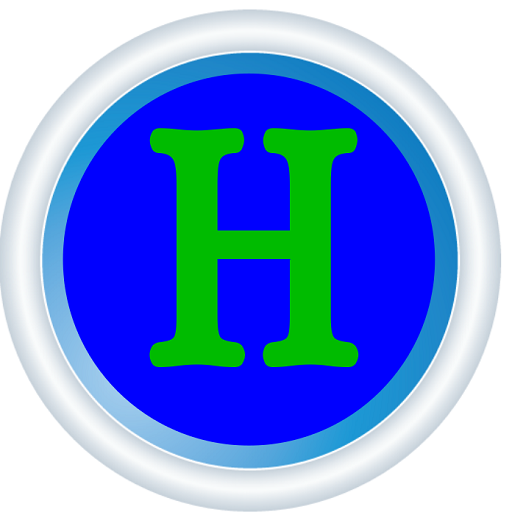 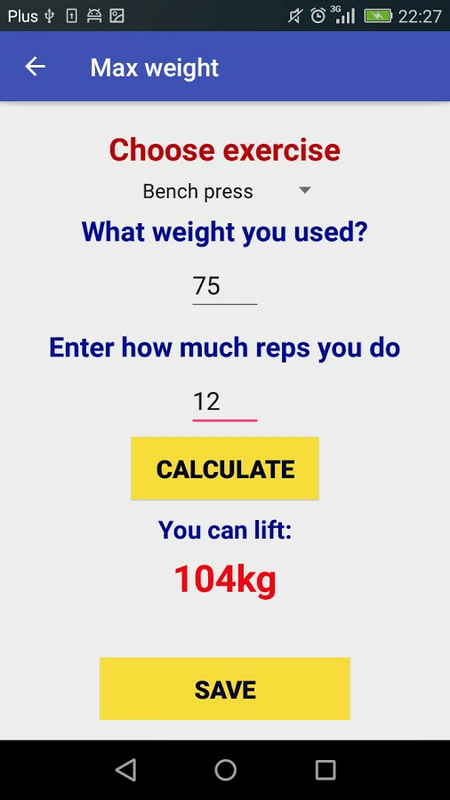 It has got set of very useful tools like exercise timer and calculators. 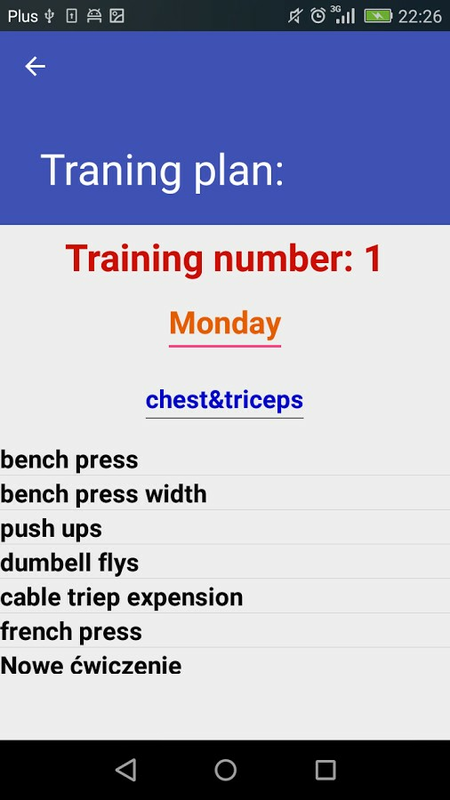 This app keeps training plans in nice readable form of list with all information about it. 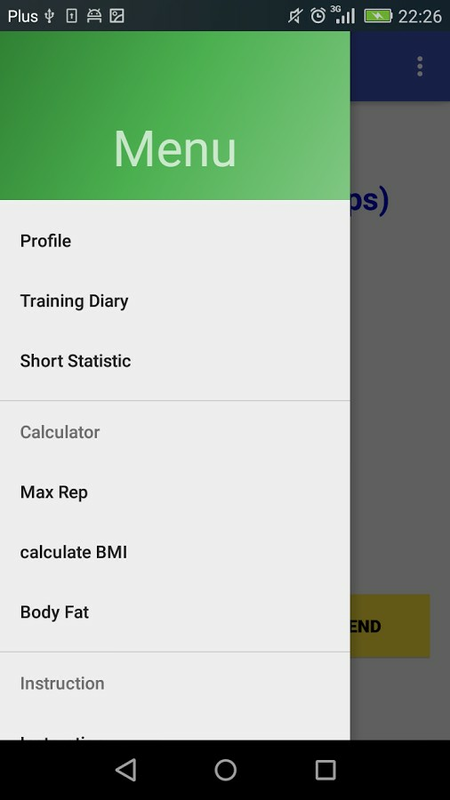 There are special timer and voice coach. 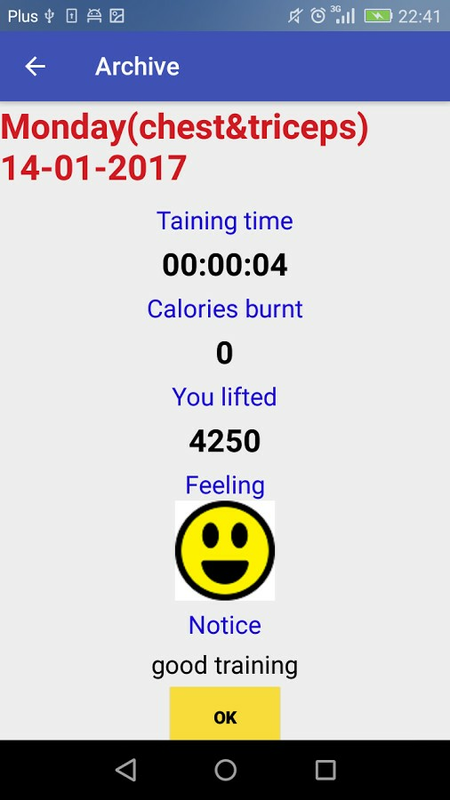 It will give perfect timing to the workout. 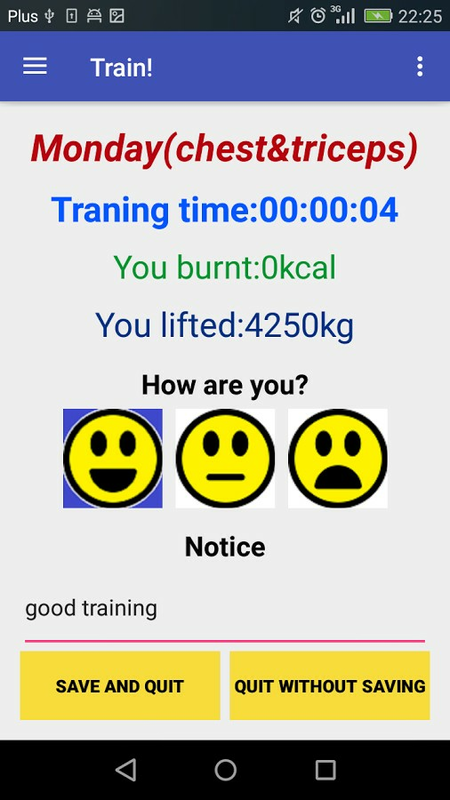 In Archive it is possible to see finished trainings. 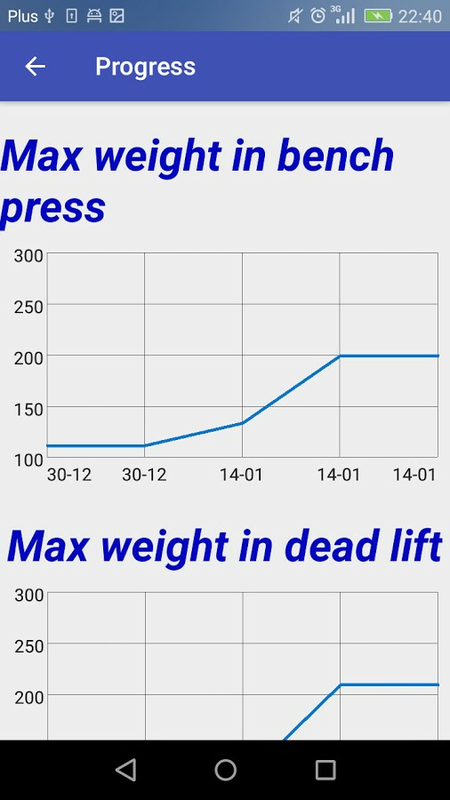 User can see his progress in charts with dates.